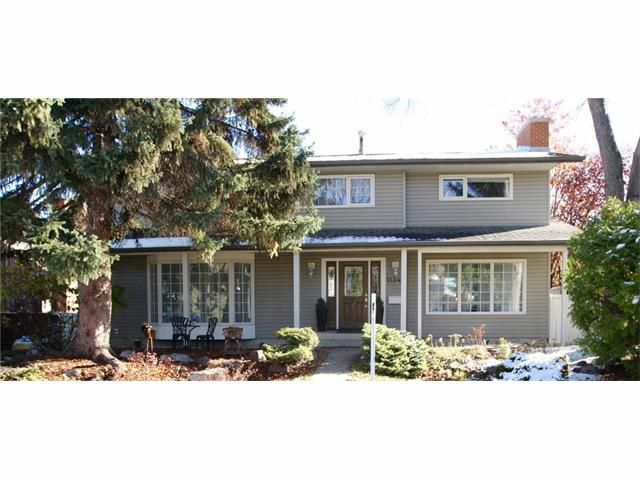 Offering just under 3,000 sqft of livable space, this home is ideal for a growing family! Main floor has a cozy family room with a centered gas fireplace, living room, dining room, 2 pc bath, & kitchen that features SS appliances & plenty of storage. The 2nd floor has room for the whole family! Master retreat offers dual closets & a gorgeous 6 pc en suite that has db sinks, corner jetted tub, & steam shower. 3 additional decently sized bedrooms (one with a 2 pc en suite), tons of closet space, 4 pc bathroom, & office/den area complete the upper level. Fully finished basement has a stunning wet bar with extra cabinet space, large rec room with gas fireplace and wall built ins, 5th bedroom, storage, 3 pc bath, & laundry. Entertaining is made easy on the gorgeous 375+ sqft 2-tiered deck that has 2 gas lines for option BBQ or patio heaters. Back yard is very private with mature trees & no back neighbours! Additional upgrades include Nest Thermostat & water softener.